JoinControl is a great mod, that does what you expect the normal whitelist should do. 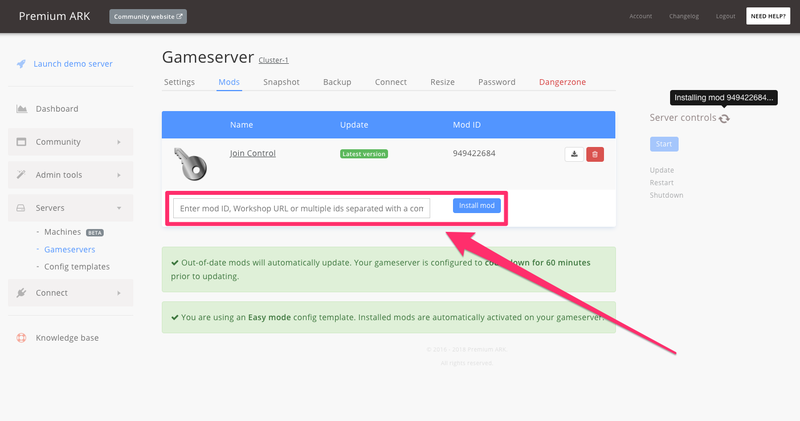 GameserverApp offers an API for all connected gameservers, allowing effortless whitelisting without restarts! If you are using an Easy mode config template, you do not have to setup anything. 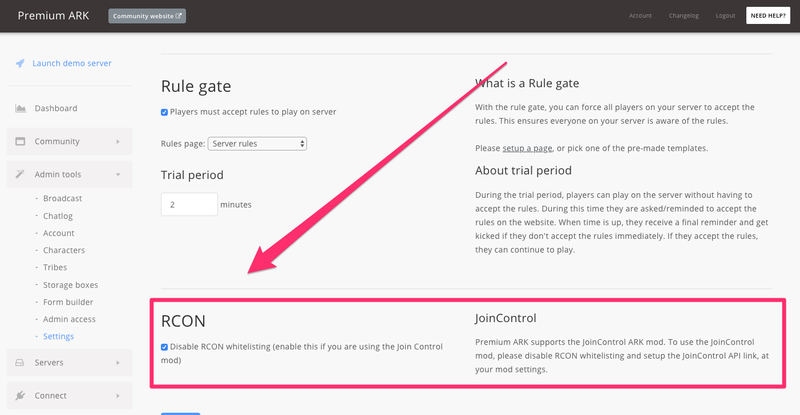 JoinControl is automatically setup for you. When you do not have Easy mode turned on, or you are using a 3rd party gameserver, please make sure to add the JoinControl config to your config template. 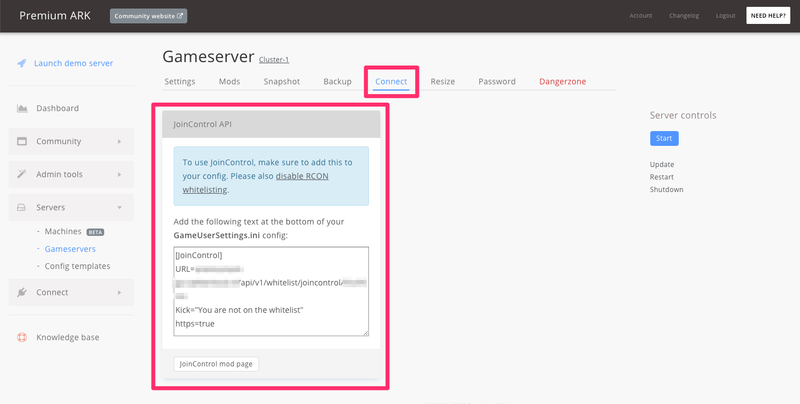 You can find the JoinControl config for your gameserver on the connect tab, with your gameserver. If you are using an old config, please make sure that -exclusivejoin is removed from your configs. Otherwise JoinControl does not work.